Adding Rich Snippets to your posts and pages is more important than ever, with Google hinting it may decide to use structured data in its ranking algorithm some day. Not surprisingly, Neil Patel posted a great blog post about implementing structured data (schema markup or Rich Snippets) in your website or blog. If you want to understand this from the SEO point of view, his post is a must-read. 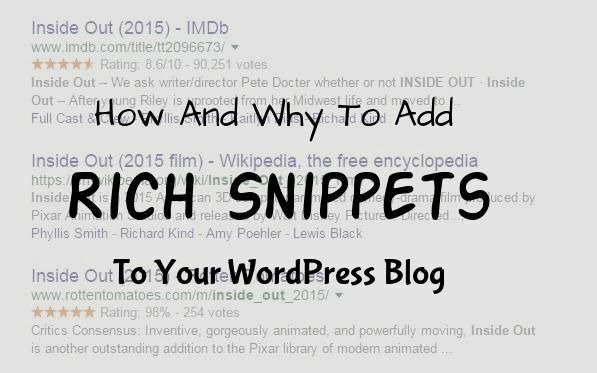 In this article, I simplify Rich Snippets so that you can understand how and why you need to add them to your WordPress blog. Rich Snippets are a way of delivering information (microdata) to search engines that tells them more about your content. It gives them the information they need to display data such as star ratings, author information and more, in the search engine results pages. According to the schema.org website, search engines including Bing, Google, Yahoo! and Yandex rely on this markup to improve the display of search results. In other words, schema markup or Rich Snippets make your blog post more meaningful and accessible by search engines, which can now index and rank your pages so they are more relevant to search queries. Rich Snippets can also make your website more attractive to search engine users and increase clickthroughs, and possibly, rankings. Rich snippets can provide a 26% lift in clicks on the second search listing, says a Blue Nile Research study. Rich snippets can provide a 26% lift in clicks on the second search listing. 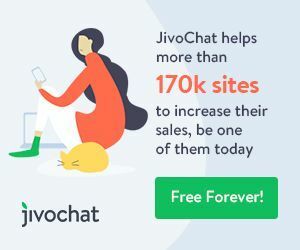 At this point in time, very few websites have implemented schema markup, so if you’ve done it, it could give you an edge over your competition. For bloggers, like me, who rely on WordPress, it’s relatively easy to implement schema markup with a plugin. Here are some plugins you can install to implement Rich Snippets on your WordPress blog. The Schema Creator Plugin by Raven was recommended by Neil Patel. It is free and provides an easy to use form to embed properly constructed schema.org microdata into a WordPress post or page. The good news is that it was recently updated, so it should be safe to install and use. According to the post here, the WordPress SEO by Yoast plugin adds some schema.org markup to your pages, so it might be useful, depending on the kind of markup you require. It claims to be the most reliable method of implementing breadcrumbs for Rich Snippets. It also adds JSON+LD Schema. Yoast has two Pro plugins that add specific microdata – the Video SEO plugin that adds Schema.org videoObject markup to your videos, and the Local SEO plugin that surrounds your address with Schema.org markup and your opening hours with opening hours markup. This free all-in-one- SEO plugin easily adds rich snippet code for reviews and places so you can attract more search traffic with eye-catching supplementary SERP data. It supports the new Schema.org format used by Google, Bing, Yahoo, and Yandex. The Rich Snippets WordPress Plugin from CodeCanyon will set you back $12 and comes with 6 months support from wpbuddy. This is a paid plugin and costs $49, but if you want a plugin that comes with support and regular updates, this is a good one to use. 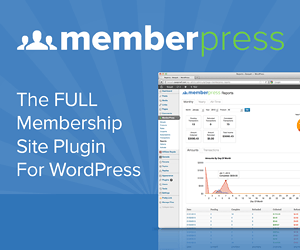 I’ve been using this plugin for most of my blogs. However, it hasn’t been updated since 2014, so it might not be the best one to install after all. This plugin comes with Google Rich Snippets (microdata) integration and automatically implements the Rich Snippets tagging for all of your content. However, it’s also not been updated since 2014, so use it at your own risk. As SEO experts will tell you, Rich Snippets are expected to become more important once Google decides to use them in its ranking algorithm. If you haven’t already implemented them, it should be easy to do it using one of the plugins above. 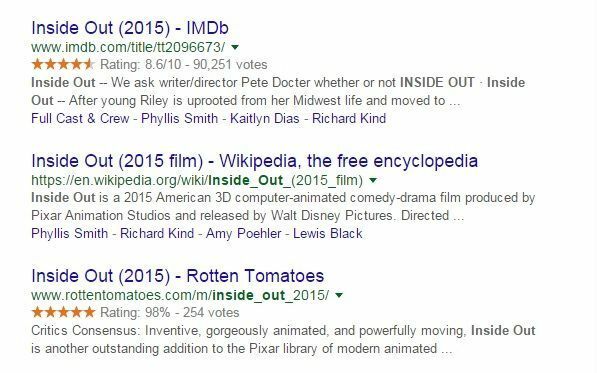 I hope this article has simplified the topic of Rich Snippets so that you understand why they are important and how they can improve the visibility of your blog in the search engines results pages. If you found it useful, do click below to share it on Twitter.